Fiona prepared and presented a two-day training course for Local Authority Planning Officers and environment professionals from AONBs, Natural England and other organisations. The course covered a range of topics, including: introduction to landscape character assessment; the methodology for landscape character assessment; the latest guidelines for landscape and visual impact assessment, and using landscape character assessment when responding to planning applications. The course included presentations, practical fieldwork and workshop sessions. 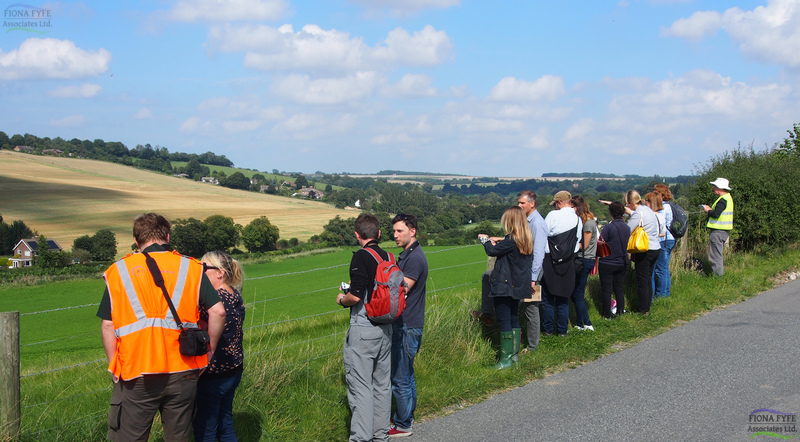 Following the course, feedback was very positive, and delegates felt much more confident using landscape character assessment and landscape and visual impact assessment in their daily work.